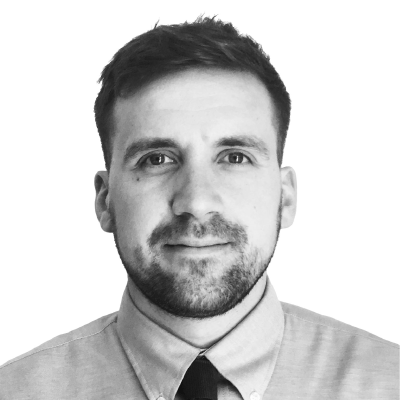 Dan Castles started working for Kingsbury more than seven years ago as an Applications Engineer. Since then, he’s ascended the ranks to become a Senior Applications Engineer and has recently accepted a new and exciting position as a Business Development Manager for Automated Solutions. Here, we ask Dan about his new role. Briefly, what will your new role entail? 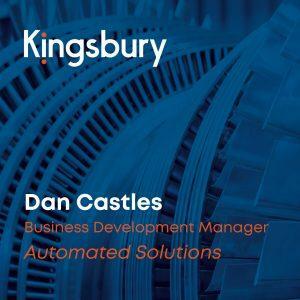 In my new position, I’ll play the lead role in the strategic development of Kingsbury’s offering for ‘Automated Solutions’ across all metal-cutting machines in our portfolio, with the aim to increase business volume and profits. Which projects are your excited to begin work on? Given my previous experience with Hermle, I’m looking forward to working closely with their automation department, HLS (Hermle Leibinger Systeme), who are currently developing some of the most innovative and diverse turnkey robot handling solutions on the market. As well as this, I’m excited to foster new relationships with our other principles and see what they’re offering in terms of Automation. How has your career led you here? It started with a good foundation, doing an Advanced Modern Apprenticeship with Aerospace Company SAFRAN, developing fundamental skills whilst completing academic qualifications. After this, I spent a further 4 years on the machine shop, honing my skills on various machine tools as well as continuing my academic pathway to HND level. I then took up the opportunity to join Kingsbury in 2011 to become an Applications Engineer but, after taking a year off from studying to concentrate on my new role, I decided to simultaneously continue with my academic studies. I enrolled to take a part time Bachelor’s degree in Engineering and Management Studies at the University of Portsmouth, which I completed in May 2014 with a First-Class Honours. Shortly after I was promoted to Senior Applications Engineer, a role which allowed me to work on some complex turnkey solutions, which put me in good stead for my current position as Business Development Manager for Automated Solutions.